Memorial Day is right around the corner and if you’re like me, another holiday means another chance to have fun with home decor. 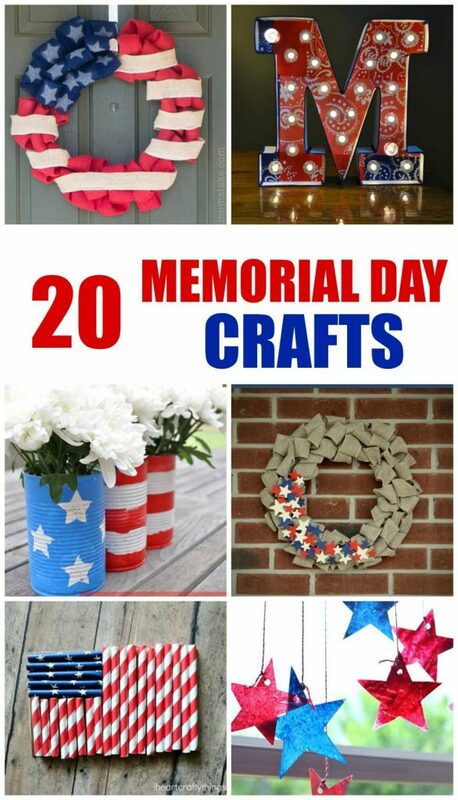 I’m loving these Memorial Day craft ideas because you can show your patriotic spirit all the way through the 4th of July. If you have any BBQs, parties or even a classroom to decorate, these crafts would be a great addition. We also love these tips for celebrating Memorial Day and of course don’t forget the snacks! Make these crafts with kids or on your own and add some festive fun to your holiday. For more kids craft ideas, make sure to check out my free printables and enjoy. However you celebrate Memorial Day, I’m wishing you a great one!